Check out Kids Craze Warehouse Sale at EDSA Shangri-La Plaza Mall, Level 3 Main Wing Exhibit Hall from November 15 to November 25, 2018. 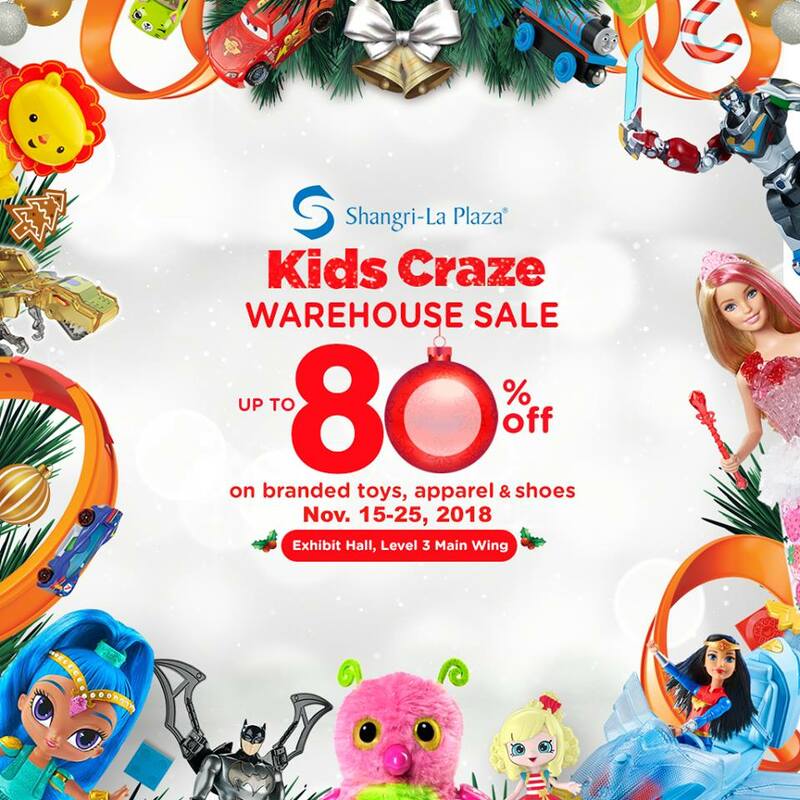 Enjoy up to 80% off on branded toy products such as Barbie, Shopkins, Hotwheels, Vtech and Fisher Price! Get great deals from kids' footwear brands such as Barbie, Ollie, and Fisher-Price, as well!